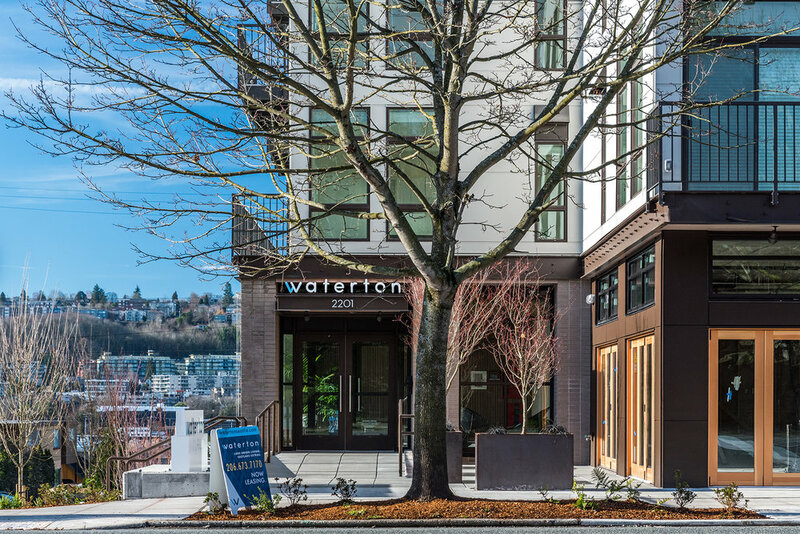 Waterton is a mixed-use project bringing needed housing and commercial space to Seattle's Eastlake Residential Urban Village. The site was previously underutilized, leaving a significant opportunity for creating a property that maximized site development. While this meant building as far up and out as possible, it also meant designing a building that would address the neighborhood's growing needs and add to its resiliency moving forward. 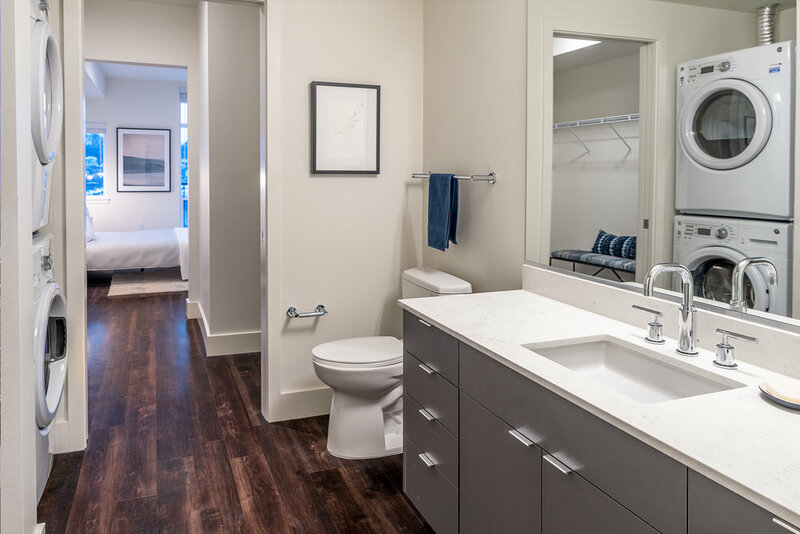 With easy access to both Downtown and the University District, Eastlake has become an attractive home for a growing number of young professionals. 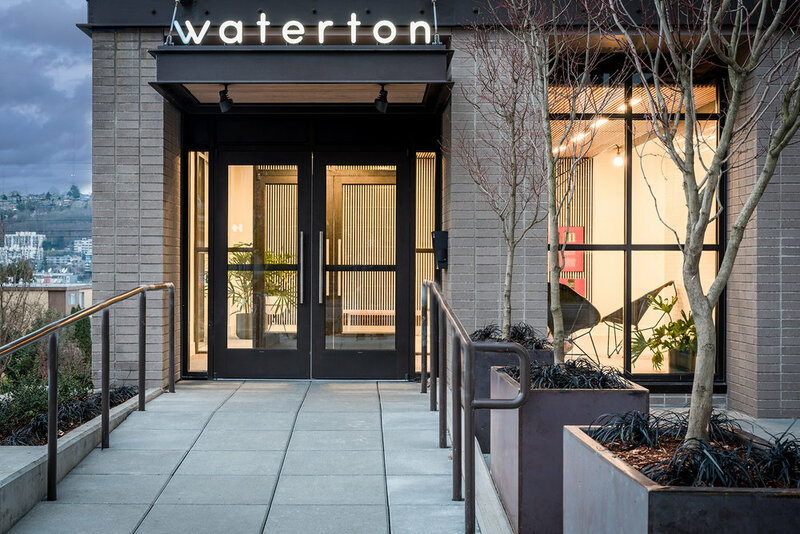 Waterton's design, inspired by the neighborhood's historical character, seeks to balance the needs of these residents while acknowledging the community's working class, maritime past. 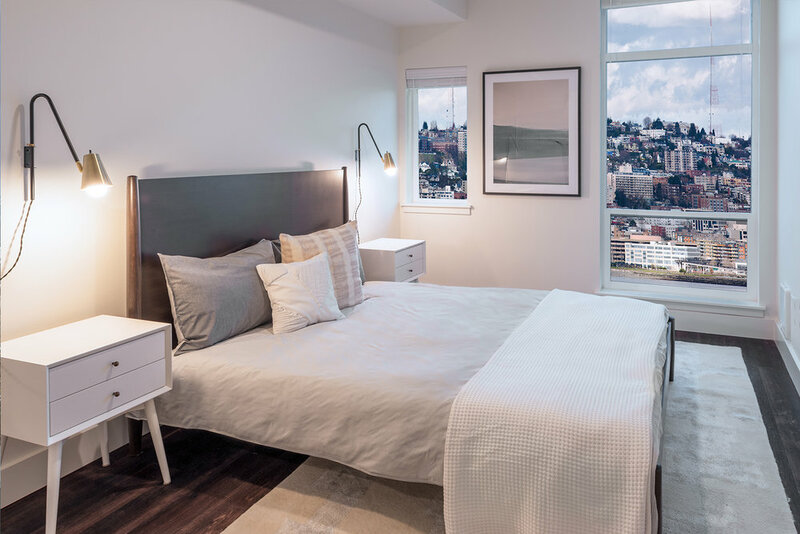 Each of the building's 45 apartment homes (a mix of studios, open 1-bedroom, and 1- and 2-bedroom units) maximizes daylight and fresh air with floor to ceiling windows and decks for each unit. The common roof deck provides sweeping views of South Lake Union and Downtown. 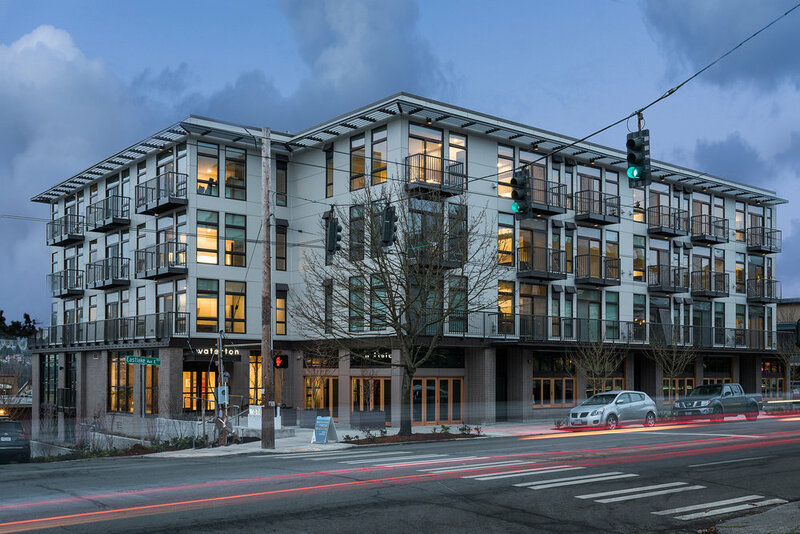 The building is anchored by a lushly landscaped plaza at the corners of E Boston Street and Eastlake Ave E, activated by the intermingling of residents, guests, and patrons of the street-level retail spaces. Passers-by can enjoy additional, extensive landscaping along Boston and Eastlake, which contributes to the prevailing "green gateway" at the south end of the Eastlake Urban Village.